I cannot stress it enough that Nsala i.e. the Igbo white soup is different from that of the Efik’s. They are both white, but they are not one or the same. 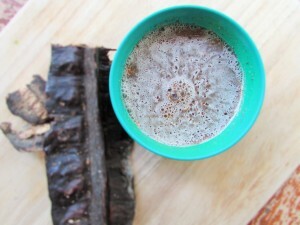 Afia Efere which is the Efik version makes use of less ingredients unlike the Igbo version which uses Uda, Ogiri Okpei, Ehuru, Utazi and Uziza. 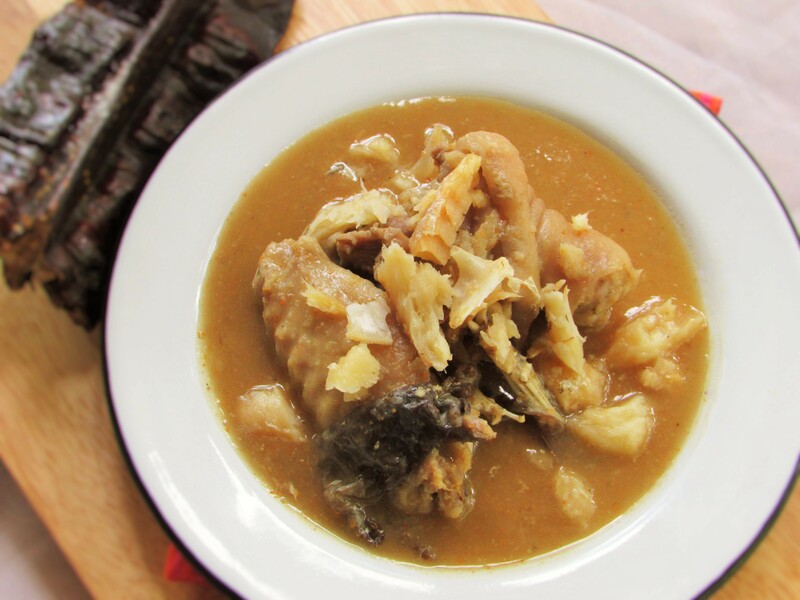 Unlike Nsala which traditionally makes the use of fresh fish, Afia Efere makes the use of chicken, and not just any chicken; but the stewing hen. These days, people now make these dishes with any type of protein and while I stick to the original traditional spices for this dish, I have used goat meat, chicken and other parts of beef. It all depends on how you want to make it. Not only is this soup versatile, it is great for the Winter; and even greater if you are on team #fitfam. I have done my clean eating with it and even without the side of fufu or rice, it is quite filling. I have also had it with plantains as well and I enjoyed it. Every one I make it for seem to enjoy it and always end up wanting more. One local ingredient, it is that easy. An easy to make dish with bold flavors! Thank GOD I am African o! And thanks to our fore fathers who came up with these types of food. break the Uyayak pod into two and grind half into fine powder then pour in some water. Pour the mix through a fine mesh sieve and set aside. This entry was posted in chicken dishes, Chicken Recipes, chicken stew, Eating Healthy, Efik Recipes, Healthy Eating, Healthy Nigerian, Healthy Nigerian Dishes, Local dishes, Lunch, main dishes, main meals, Meat dishes, Meat stew, Nigerian Casseroles, Nigerian soups, Nigerian Stew, Nigerian stews, Pepper soup, Peppersoup, Protein, Protein Dishes, Sauces, Side dishes, Sides, Soups, stew, Stews, Uncategorized, Yam, Yam dishes, Yam dishes and tagged Afia Efere recipe, Efik recipe, healthy Nigerian, Nigerian food blog, Nigerian soup recipe, Nigerian white soup, Nigerian white soup recipe, Nsala soup recipe, White soup, White soup recipe. Nice as usual Nma, I am gonna try it this Christmas. For some time now, I’ve been unnecessarily pissed at our regular Igbo recipe. This made me wanna eat white soup and I only want this version. I used the entire pod without the seeds but you may use the fleshy part if that works for you.